Ailsa of “Where’s My Backpack?” wants us to show her our most decrepit, worn and torn, antediluvian shots this week. If you would like to join in with her challenge then please do. Everyone is welcome. 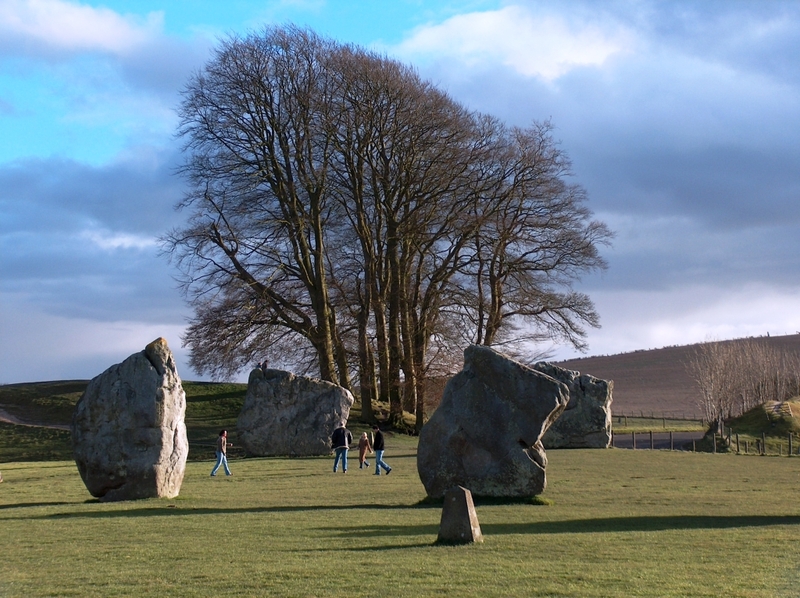 One of England’s oldest sites is the Avebury Stone Circle in Wiltshire. Believed to have been started around 3000 BC it was probably used as a religious and ceremonial centre, but no-one knows by whom. The nice thing about Avebury is that you are allowed to wander freely on the site and get close up to the standing stones. The main circle covers approximately 28 acres with two smaller circles inside. 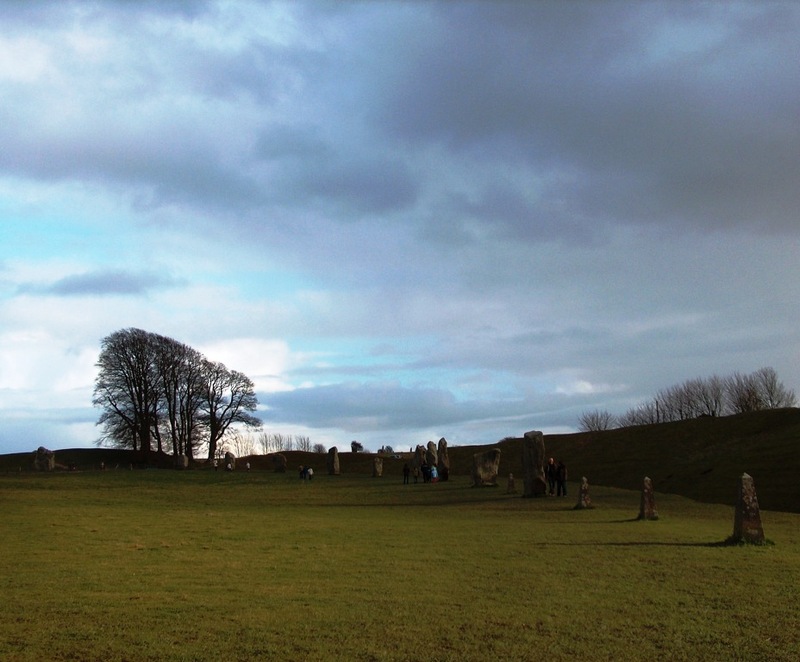 The henge is also split by the village of Avebury and a road. 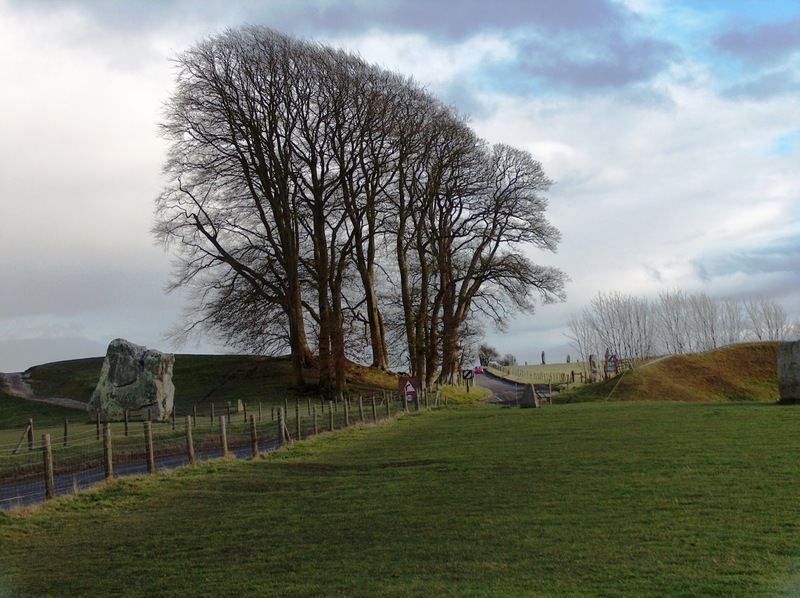 There is an avenue of stones leading away from the circle towards Overton Hill a mile and a half away, and it has been speculated by some archaeologists that the avenue was constructed to form the body of a snake, with the circle as the snake’s head. A steep bank and ditch surrounds the circle, together they form a 60 foot barrier. 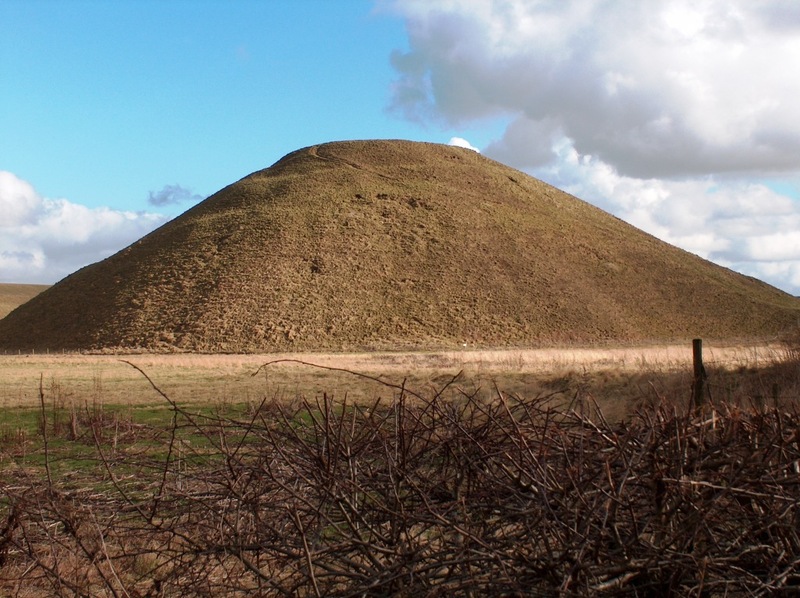 Just a few miles away is the strange conical mound of Silbury Hill, across the road from West Kennet Long Barrow. In the other direction is Windmill Hill causeway camp, the finest hilltop camp in England. A double rainbow in fact! I have better images of the rainbow, but without the stones – it was that sort of day! I always manage to get raindrops onto my lens… very annoying! Oh yes, that happens to me too and then you have these grey splodges all over the photo! Some wonderful things to see right here in England Jude. Despite all my/your travels, it is often close to home where we find the real treasures. This was quite a challenge for me as I haven’t got photos from Rome or Athens or Turkey etc. and wanted something very, very old. Thought about Wales and Cornwall, then remembered these shots from Avebury on our way back from Shropshire to Surrey (I got bored of the same old motorways). We have some standing stones in Shropshire too, but I have yet to get myself up there! I love the mysticism of standing stones. How, why? What is it about Wiltshire? The rainbow is a great capture. There is something spiritual about them isn’t there? It’s the same with the burial stones. There are stones in Cornwall, Cumbria and Wales too and even here in Shropshire – all in remote places. You have to wonder who as well as the how and why. I had to have another look – see what you mean, I have no idea what they were up to, probably trying to keep warm!! Love the contrast with the colours in the sky! It was a sunshine and showers day! Way cool Jude!!! Love the post Must get there one day. Thanks Tina, it’s a rather understated place as most visitors to the UK head for Stonehenge and as that site has had a complete makeover recently I imagine it will attract even more crowds. Fabulous photos! I love the one with the rainbow. I adore Avebury. I think it’s even more impressive than Stonehenge in many ways. And I can’t wait to see it again in a couple of weeks, when we head across the Atlantic to visit Rich’s family in England! Ooh, whereabouts in England are you heading for? Just 8 miles from Avebury, actually. Rich’s brother and his family recently moved from Norfolk to Wiltshire. 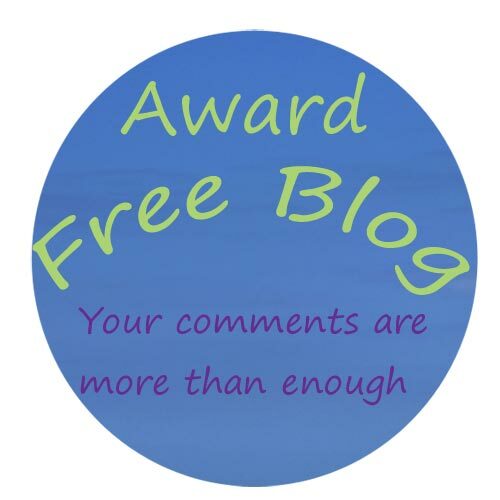 I was over at your Stonehenge post and about to ask if you ‘e been to Avebury when I found the link, you know, I think I preferred Avebury! I suppose Stonehenge is special because (as far as I know) it is the only stone circle where there are lintels (trilithons).